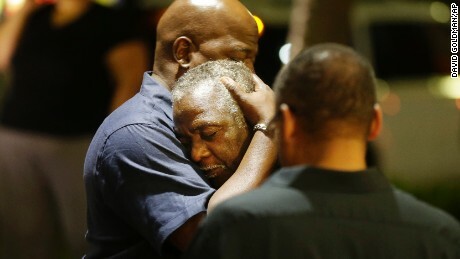 This is post racial America…..Remember all the fuss about the massacre in Charleston, SC at a black church where 9 people were killed by a young white teenager too young to even know about the struggles of Americans, black and white who lived in the South. The news kind of ended with calls to remove symbols some say are associated with racism, like the confederate flag….remember?? This is what happened in New Orleans regarding that bit of news. The contracting firm that was hired to take down some Confederate monuments in New Orleans has backed out after facing death threats, as was revealed in the proceedings for a case seeking to halt the monuments’ removal. Rebecca Dietz, a city attorney, said at a hearing Thursday that H&O Investments LLC of Baton Rouge sent a letter to the city backing out after its office received death threats, the owner’s wife was threatened over the phone, and it became apparent its contracts with other businesses were at risk, the Associated Press reported. At Thursday’s hearing, U.S. District Judge Carl Barbier seemed skeptical of the challengers’ arguments as to why a preliminary injunction should be placed on the removal the statues, The Advocate reported. He said planned to issue a written decision in the near future, according to The Advocate. This attitude of middle America mirrors Congress’ attitude towards POTUS. If you don’t like what is being done, shut the whole operation down. Some parents were upset after learning that Riverheads High School teacher Cheryl LaPorte had students in her class complete an assignment that involved practicing calligraphy and writing a statement in Arabic. This is the same state which is the home of Liberty University whose president is on record for saying…. ….and this is post racial America? Who said racism is dead in America? Post racial America is NOT post racial. Racism is very much alive and well in America. In small rural North Carolina’s Camden County a public school teacher’s bucket list is to kill all black people. Math teacher Cynthia Ramsey works in a local high school and her remarks were directed towards students old enough to understand their implications. It doesn’t end there…..Americans are xenophobic to the extent they can’t even tolerate hearing someone speaking a language other than English even though a person might not be talking to them. Back in the day of my youth, speaking another language other than your mother’s tongue meant you had a degree of education that set you apart. Indeed, learning a second language was a part of the public school education’s curriculum but no longer it seems. It probably didn’t help Asma Jama that much that she was a person of color who looked different….i.e. wore a head scarf and was clearly identifiable as a Muslim. America doesn’t like nor tolerate Muslims either and especially those who talk to one another in language the average American can’t understand. It could very well be they are planning some act of terrorism, perhaps? ….and in case you’re wondering if you click on the link detailing this story you can hear Jama speaking English in describing what happened to her better than 90% of Americans. America’s terrorism against its people of color, even its Christian people of color continues. FoxNews always talks about the war on Christianity but neglects the war white America wages against black Christians. Now that we have a new name for political deaths, one that we can easily stick on people of color and especially Muslims, most white Americans want to deflect or mute the impact of the word terrorist when acts of violence are directed by them against ethnic and religious minorities. I’m glad to see in some circles that’s not the case here.